Hi! 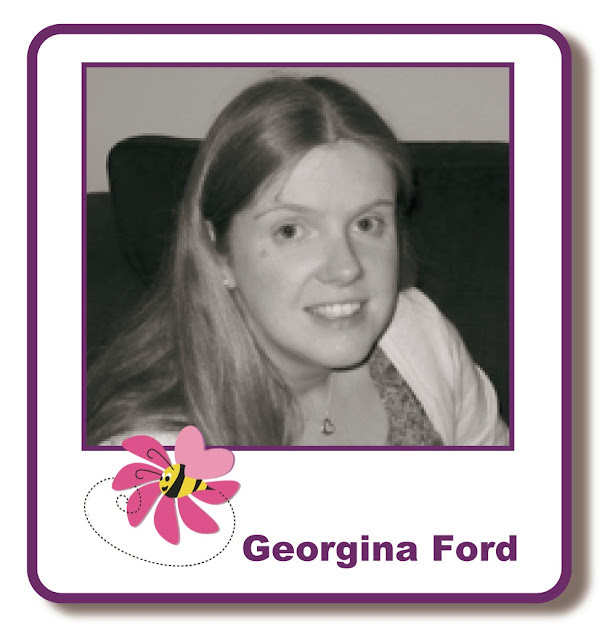 It's Georgina with my weekly Friday post. Today I have three tags to share with you. 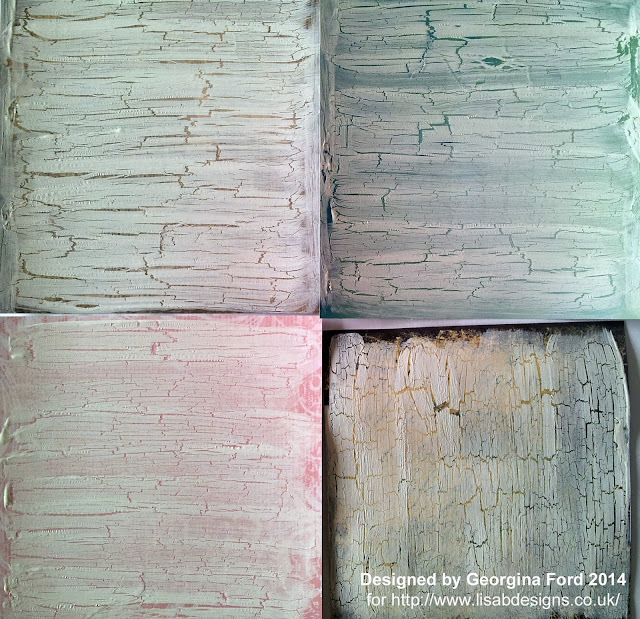 As it's Crackle Medium promotion fortnight then of course I have used this product to create the crackle background. To make these tags I started my create the background. For the base I used a selection of Lavinia Stamps background papers. To create the crackle effect I first added a layer of the Crackle Medium. I left this overnight to dry. Once it was dry I paint over a layer of white acrylic paint and again left to dry. 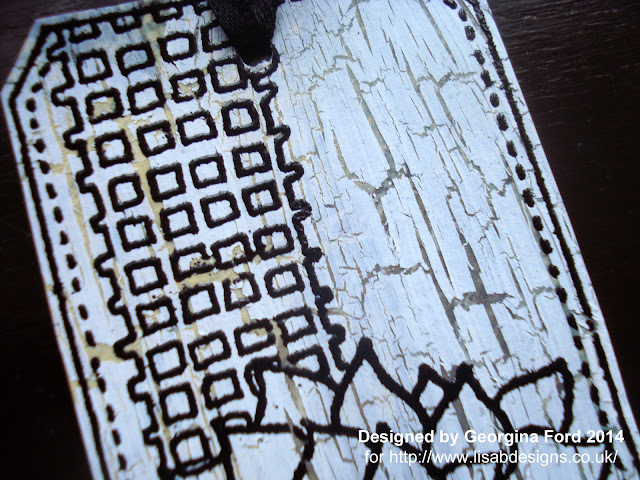 This was the finished crackle background, below. I used three of the backgrounds for my tags. 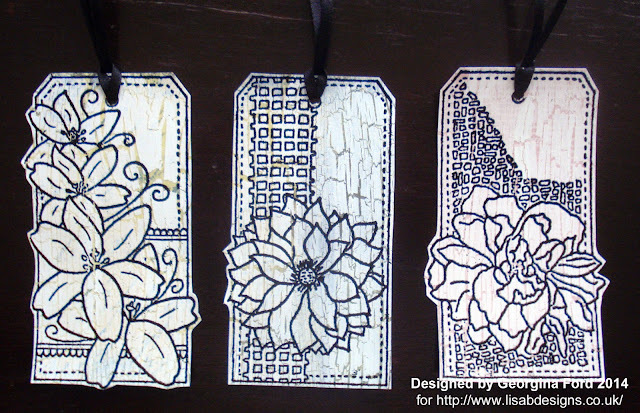 I used three tag stamps from my own stamp range, Designs by Georgina, which is available from Lisa B Designs. For each tag I stamped the tag using a VersaFine ink pad. 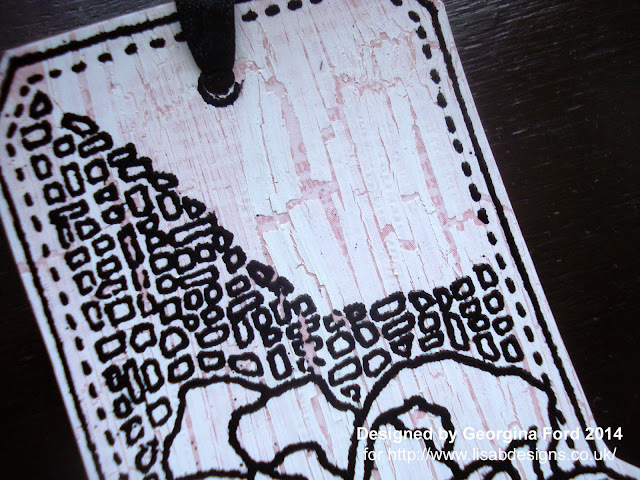 I then heat embossed each tag with WOW Ebony embossing powder. For my first tag I used Lily Elements stamp set. 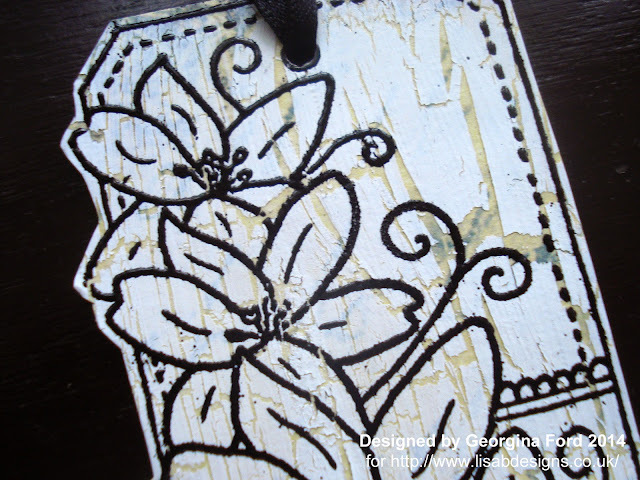 For my second tag I used Clematis Elements stamp set. For my final tag I used Peony Elements stamp set. To finish the tags I punched a hole in the top and threaded through thin black ribbon. Great tags. Love the cracke effect on these.